That was for the geeks in the room, Panay jokes. Shades of the iPhone antenna-gate problem? 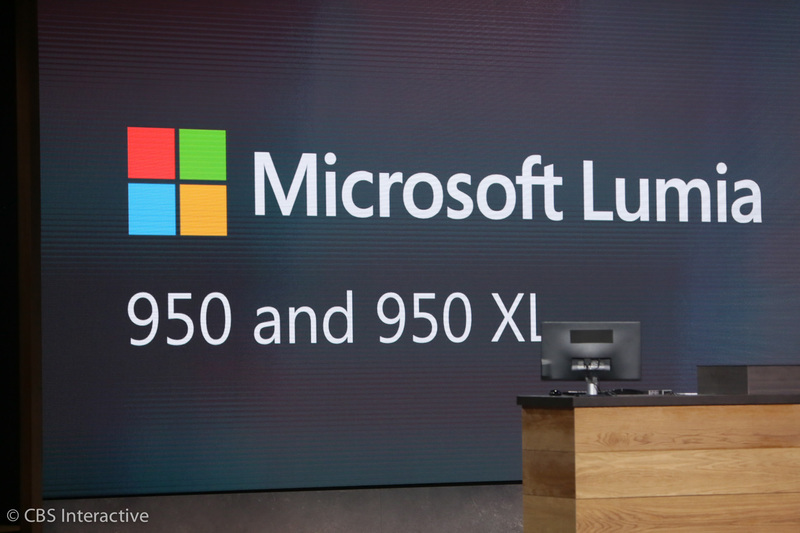 The 950 uses the Hexacore processor and the 950 XL uses the Octacore processor, both from Qualcomm. 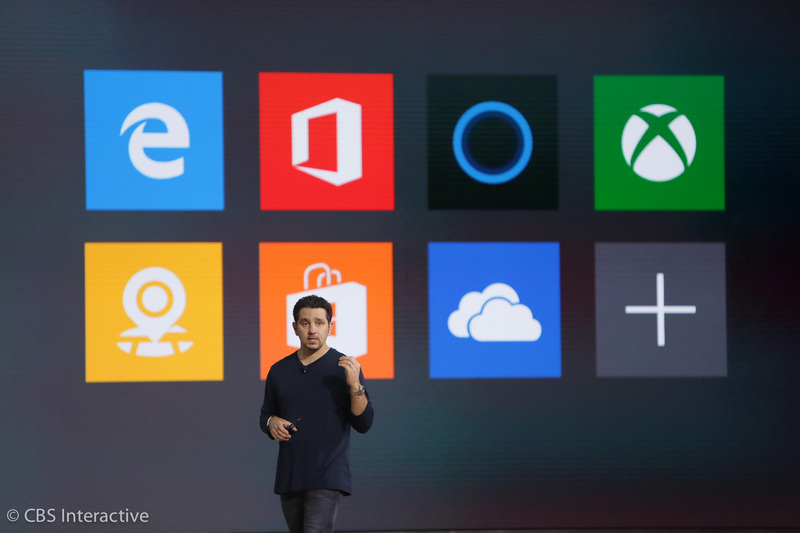 We want to push these machines as hard as we could to bring Windows 10 to life, he says. 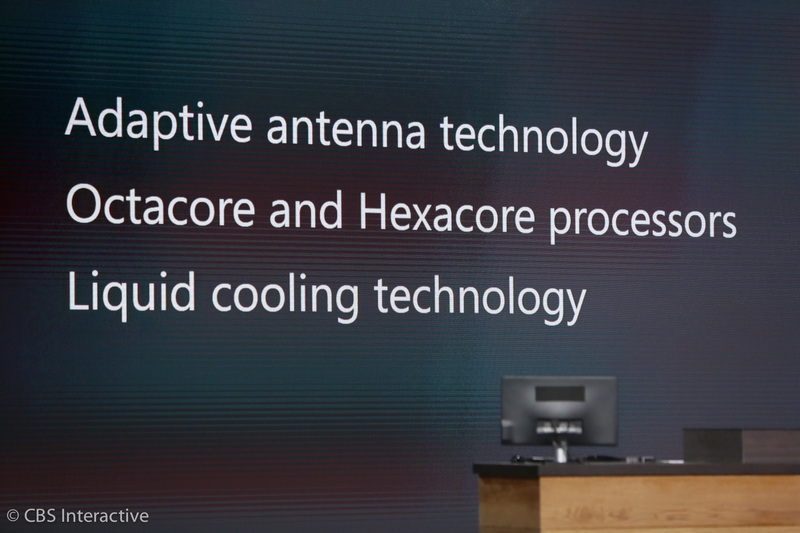 Liquid-cooled phones? We really are living in the future. 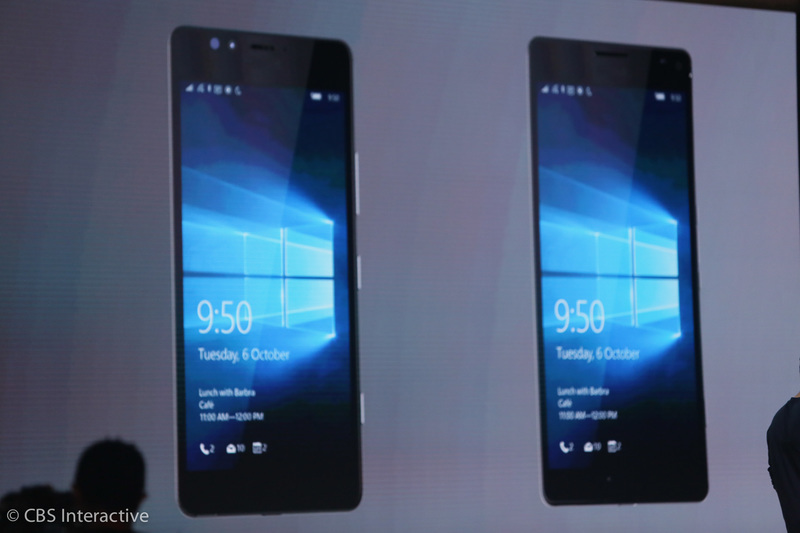 The phones are 5.2 inch and 5.7 inch displays. 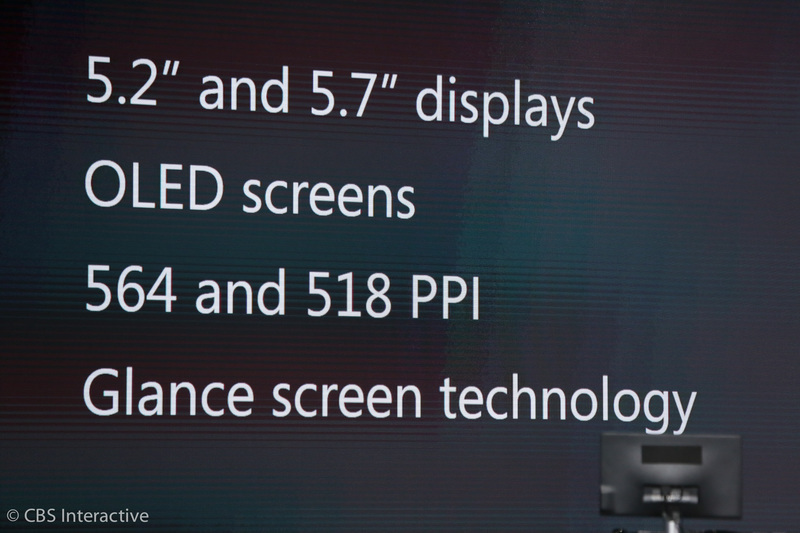 The 950 has a 518 PPI, while the XL is 564 PPI. 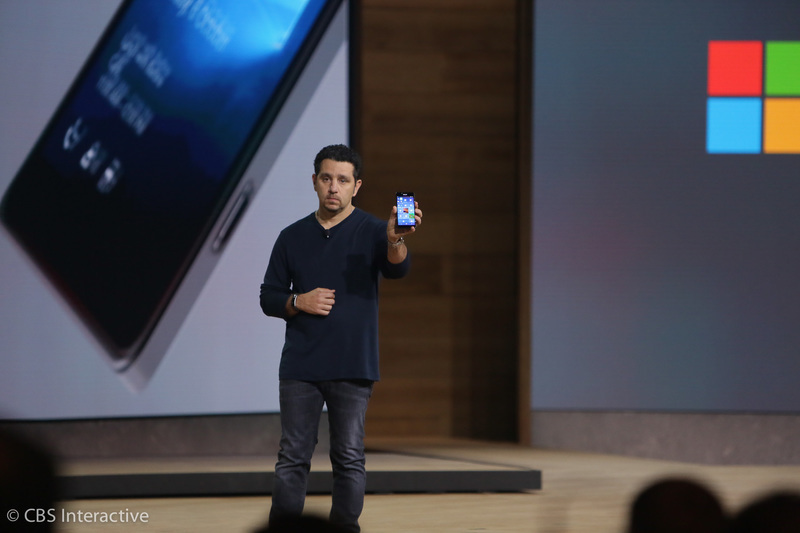 It features "glance screen tech"
When you pull your phone out of your pocket, the glance screen pops up with notifications, emails, texts, time, date -- all without touching the screen. And it uses zero battery life. "Glance" tech is a good use-case for bigger phone screens. It's better than turning on the phone and logging into the device. Being connected to your family is important, he says. Yes, I would agree. 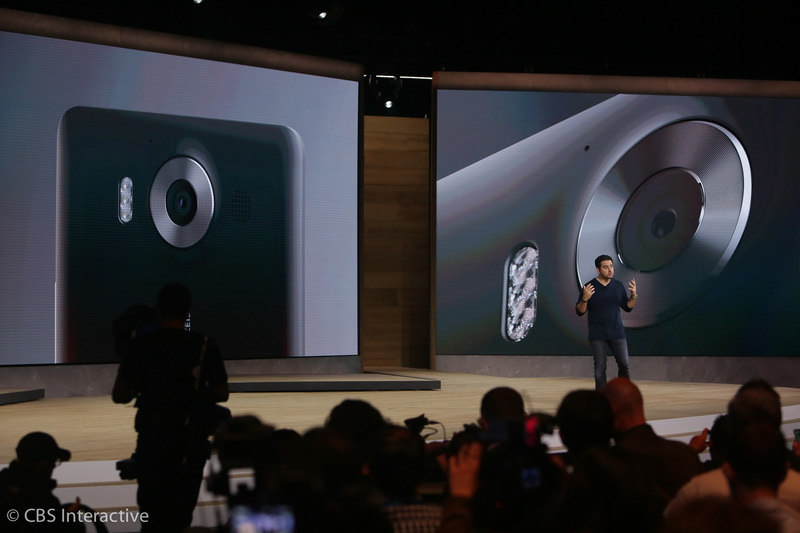 The cameras have a 20MP sensor, triple LED RGN Natural Flash, 5th generation optical image stabilization (OIS). Interesting play here on the topic of "phubbing" -- or phone snubbing -- people have been talking about lately. It has a dedicated camera button. Panay says it takes great low-light photos. 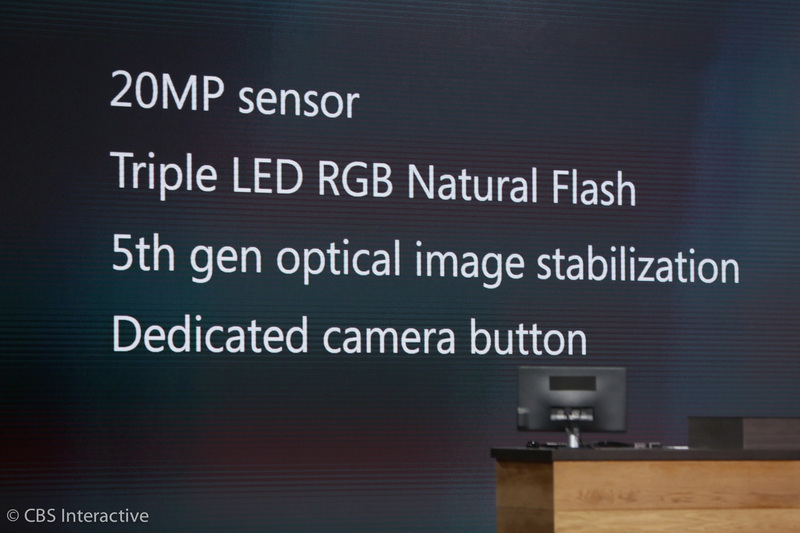 There is an RGB sensor for more accurate colors. 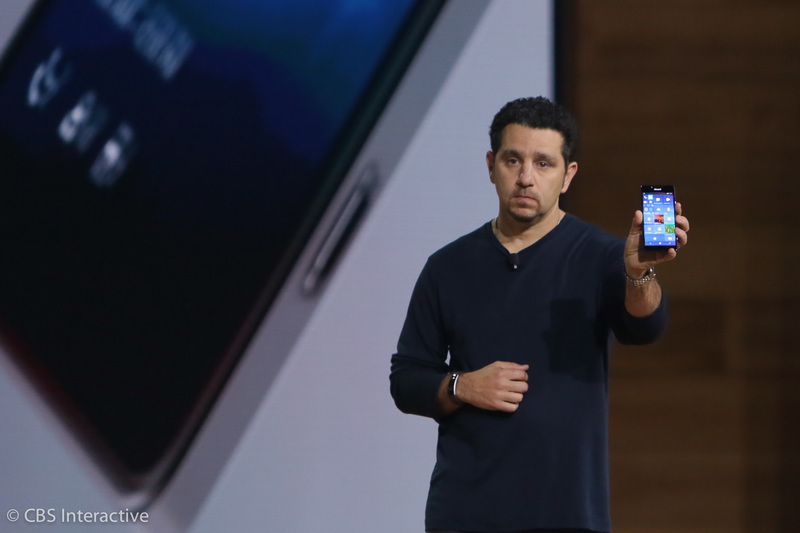 The G4 has that same tech, as do other phones. Panay says he's pumped. He's a pretty enthusiastic guy. Apple is starting to look like it's lagging behind by neglecting OIS (optical image stabilizer) in its iPhone 6S. You need to upgrade to the Plus to get OIS. OIS seems to have become a standard feature on all phones. Smart watch "glances" work the same way. Do they help? Hard to tell at this early stage. 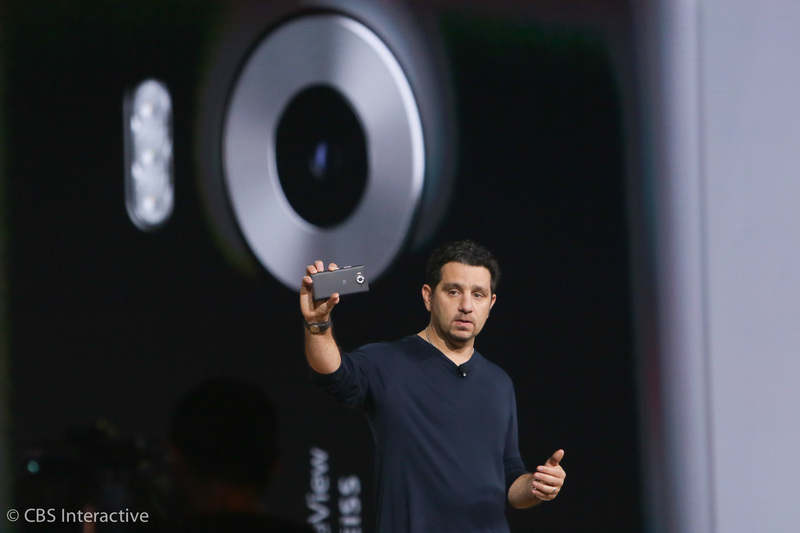 You can capture 4K video with the phone. All of the info is automatically uploaded into the cloud. The phone has 32GB of storage. You can expand the memory with an SD card. Did someone say dedicated camera button? YES. 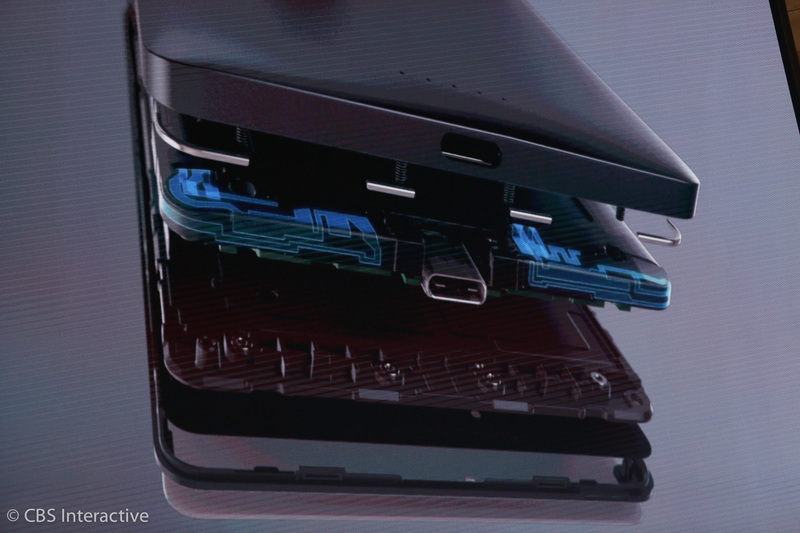 The phones have a USB Type C connector. If your phone is almost dead, you can plug in the Type C charger to get 50% charge in less than 30 minutes.